At its simplest denominator, a citizen is by principle afforded the right of being included in a group's decisions. But there is a special place for those who serve as policymakers and policy experts. But I offer the point in my book that "sometimes the rules are not made by the public required to follow them." The solidarity means that all of us have culpability in the health of the collective. But each of our investment in this solidarity differs in our (re)actions, invocations and values. This knowledge should, in theory, affect the role that each of us plays in bettering social outcomes. Those in policy hold a special role that should not be understated. A policy has the power to guide and mold the direction of societal movements or cause an unfortunate setback. The democratic process has placed the power of policy in the hands of select individuals with certain position and access to resources. Those policymakers are anointed members of the social order but are not infallible. The policymakers are tinkering with our public, in so doing, the social system changes as a result. Puffins, which puffin is really in charge? • The puffins select like minded allies in Congress which increases the chance of overly homogenous political groupings. • Select "super" puffins in Congress anointed by the party act as the bridges across political networks which make them powerful in terms of social connection as well as information gate keeping. • In systems, bridges gain power in part due to the strategic configuration of connections that could be leveraged for social advantage. You cannot leverage connections that you do not have. • Puffins flock to allies for personal political survival. 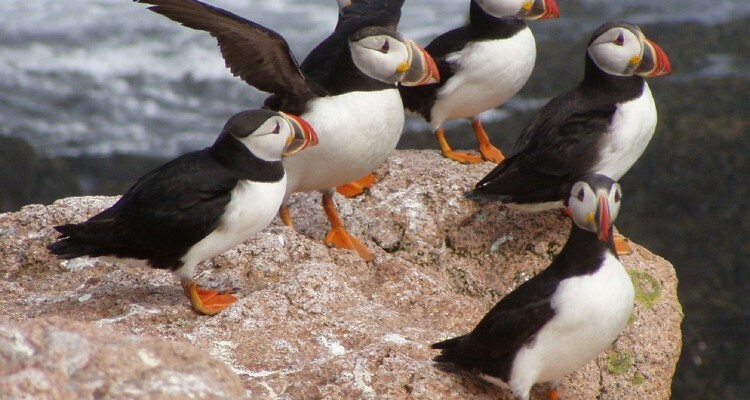 • "Super" puffins become more powerful during political upheavals because allies run to them for protection. • Membership in a political group could mask dissenting opinions within a political group because all that is important is keeping up the united front. Puffins, you are a part of the public. The beneficiaries of public policy are vast publics. Publics, while fragmented and divided based on societal wants and political requirements, are bound by some level of negotiated citizenship under that policy. People must live and act under these policies orchestrated by the policy puffins. But people also die under those policies as well. We must never forget that policymakers are also of that same public. Policymakers must be reminded that powerful rules affect the very public they promised to protect. Puffins, old wounds must be opened and those wounds may have come from policy. In a 2015 JFK Kennedy Forum at Harvard's Kennedy School, Ta- Nehisi Coates offered scathing commentary of historical approaches to social justice. He called for society go wide and open past policies to scrutiny that makes damaging policy accountable for that legacy of damage. He said, "it is not enough to stop wounding someone... [society] must do something about the harm [policy] has produced." Essentially, there is going to be a life for this policy. People are going to be affected by the policy. Policymakers understand the huge social weight placed on their position. However failing to harness the social complexity of that policy on the public is unethical. The longer the public has to live under a policy, the social system changes under that policy. Errors in a social system under a policy become more apparent over time. So how the policy puffins react to the changing reality under policy sets a historical stage for the public's welfare. Puffins, the policy lingers and lingers, for better or for worse. Failure is picking up a socially expected square peg after the innovative oval one fails to fit a conventional hole. If you really "need" the oval to work (and the world is not yet with the program), check out the board again. If there is no oval hole, darn it and chuck that board. Find a reamer and create your own or perhaps ask for a refund with no return shipping. Failure is the incessant attempt to satisfy others by hiding that socially acceptable square peg behind your back and asking for a few more days (in dog years) to work it out. Whittling that square peg with that dull pocket knife into a misshapen imposter of an oval peg serves no god. That imposter peg is not flush to the side of the hole. It is surrounded by slight flashes of open space. That open space created around the non-flush peg should extract with a slight tug. Trust me, that tug will be less taxing than the linear process that got that wrong peg there in the first place. Policy has little tolerance for misshapen pegs that bring with them unintended ("side") effects. Use a policy that works until it does not or admit that it never worked at all. Then make it work without the errors gumming up the machinery. What works may not be the most apparent or popular choice. More often than not, policymakers violate systems by linearly attacking the problem in the same way expecting a positive result. Mark my words, "while systems have antiquity that lingers, policies have a legacy that leaves its own residue of feedbacks behind." Systems thinking is acting fearless amidst uncertainty. The stakes are high in policy. However fearlessness on the part of policy puffins should not wantonly place structural power and position based prestige over the welfare of the public. Read more in Michele Battle-Fisher, Application of Systems Thinking to Health Policy & Public Health Ethics- Public Health and Private Illness (Springer, 2015).